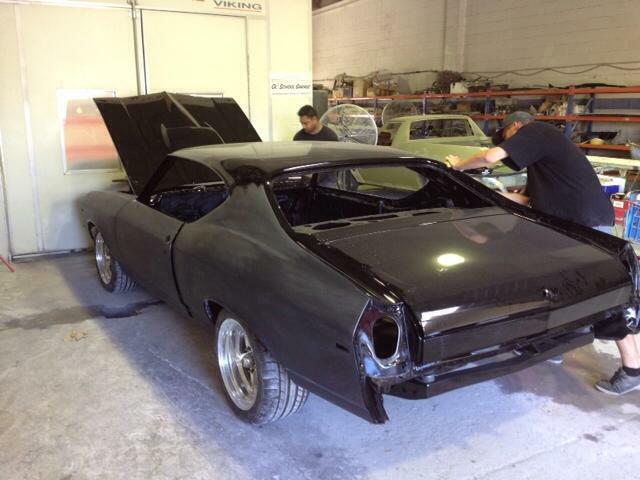 You will remember that Rob spent the last part of 2014 prepping and painting our 69 Chevelle Resto-mod project. And it sure looked nice and shiny when he was finished. Now he has spent the last two days blocking and rubbing the shine off the car until it is entirely matt black. Has he gone mad? Apparently not...he has blocked the paint back in preparation for laying down the Yenko stripe kit on Monday. It is just another element of his cunning plan to make the Chevelle even shinier! I will share some photos of the car with its Yenko stripes on Monday.